One night while in the studio with Neil Halstead a friend questioned him as to what kind of music he played. Neil’s extremely thick beard turned into a smile as he said “Nylon Rock” before laughing and turning back to his beer. I don¹t think that description offered any clarity to the asker, but to me it seemed perfect: a self effacing term to help him deal with the fact that he, a former shoegazer, was making a solo record and his main weapon was simply a nylon string guitar and a couple of shakers. In the late ’90s Neil fronted a band called Slowdive, and after a couple of really good records they split. 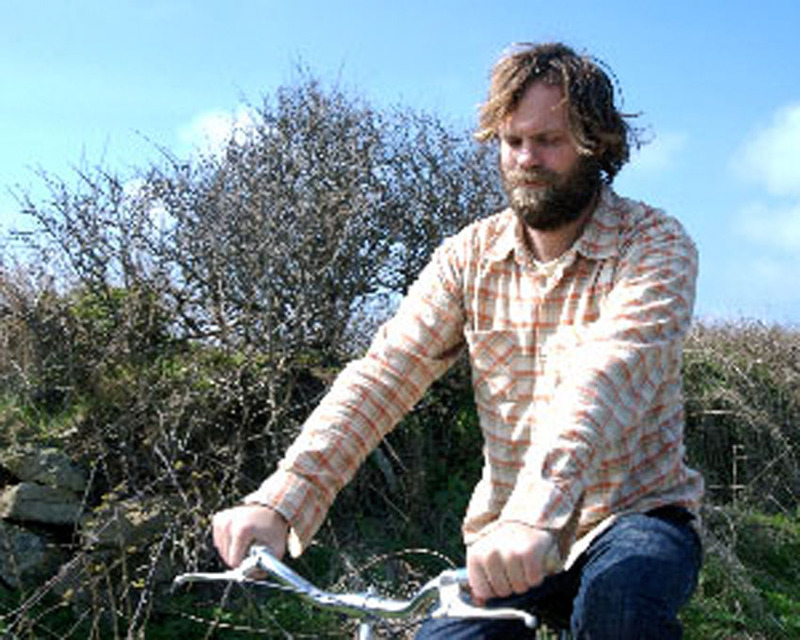 From there Neil formed his current band Mojave 3, who have released 4 records to date with a few more to come, we hope. Hard to find 2 bands with more critical accolades, and at the core of those bands was Neil and his songwriting. oh mighty engine is the name of Neil’s newest solo record. It is a record that can handle excessive listens and seems to absorb every mood I have thrown at it. It is really hard to find a record that can make you happy, sad, and can make you laugh all at once. This record does that for me. The meaning of this record is hard for me to discern, partially because Neil is very English and mumbles phrases like “pithy liners” or “dangerous dolts” and other local slang that I have been getting myself caught up with. But the main reason is that Neil has never been blatant or obvious with his words. He writes songs that are very personal to him, and then allows space for everyone to take their own meaning away from his lyrics (“Go skies and thrones and wings. And poetry and things” from the song “Elevenses”).